There are certain times of the year when you can get the very best deals. It helps to be well informed about what sales tend to happen in a specific month. Here are the best things to buy in April. Easter often takes place in April. Long before that day, stores will sell Easter candy, baskets, decorations, cards, and plastic Easter Eggs. Parents will need to buy some of that before the holiday. After Easter is over, make sure to check out the Easter clearance sales. 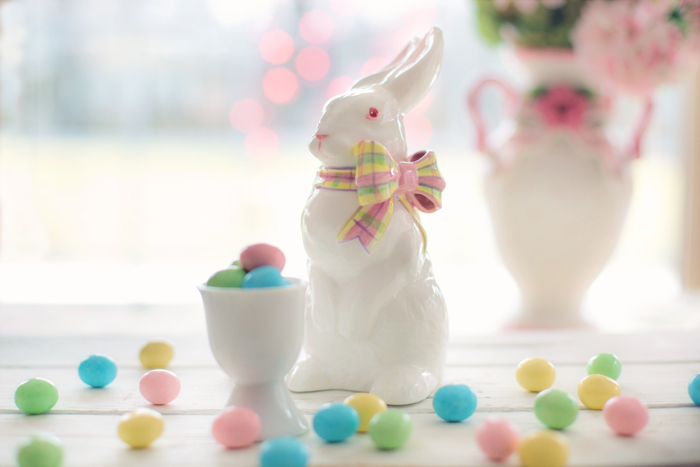 You can pick up some brand new Easter decorations and cards for a much lower price than before. Store those items away for next Easter – and save money. The Easter candy will also be on sale. Many people buy a gym membership at the start of a new year. By the time April comes, many of them have given up and stopped going to the gym. This means gyms need to seek out new members. Buy a gym membership in April, and it will cost less than it would in January. Stores that sell clothing need to move seasonally appropriate clothing before the next season starts. Summer clothes can arrive as early as the end of April. To make room for those items, stores will put the Spring clothing on clearance. Wait to buy new Spring clothing until the last few weeks of April for the best deals. Did you know that April is a really good month to shop at thrift stores? The reason is because people do their Spring Cleaning and find a bunch of things that they no longer want or need. They donate those items to thrift stores. You can save a lot of money on clothing, appliances, and furniture if you shop the thrift stores in April.